We’ve been seeing a lot of gargoyles recently, haven’t we? The beasts in I, Frankenstein, the heroes (mostly) in the 90s animated series, the living stone Constable Downspout from Terry Pratchett’s Discworld series. But this is actually a relatively new monster: an often-winged demonic-looking creature that is strongly associated with rock and tends to perch high on rooftops like a sedimentary Batman. I think it’s especially noteworthy that all three of these works take place in city centers, and if they’re not outright urban fantasy, they’re close enough to it to wave hello. That might be part of the reason behind the rise of gargoyles-as-monsters in the modern day– for the first time in history, we have a whole lot of buildings very close to one another that are extremely tall, (thanks to the invention of the modern elevator that made taller buildings practical). The modern take on monstrous gargoyles dates back to the 1930s, with movies like Maker of Gargoyles and The Horn of Vapula (both from 1932). Before then, European gargoyles were architectural details, meant to act as decorative rain spouts to keep water from damaging the mortar and masonry of the building (statues that weren’t water spouts were known as grotesques). They were often a chance for stonemasons to get creative, and so they’d often look like animals, people (often ridiculously exaggerated to make fun of them) or inside jokes. One story about the “origin” of gargoyles is of the dragon La Gargouille that attacked the town of Rouen in 600 AD. It was defeated by a travelling priest, but when the creature’s head and neck didn’t burn to ash with the rest of the body, the locals nailed it to the church as a warning to other evil creatures. Other origin stories speak of Celts who harnessed the powers of animals they had hunted by hanging them on the outer walls of their towns to “attract luck and repel evil”. Repelling evil is the common thread across much of the gargoyle folklore: all their grotesqueness is meant to frighten away evil, and protect the people inside (or, sometimes, to frighten the people inside into behaving themselves). What do they look like? Are they animalistic, draconic, humanoid, demonic? Are they natural creatures, or are they constructs brought to life by some kind of magic or technology? What is their relationship to stone? Are they made of stone, do they turn into it, do they simply resemble it, do they eat it? Are they protectors and guardians? Are they the remains of defeated enemies used as a warning to others? Why do they stay on the tops of buildings– do they fly, are they fast climbers, are they trapped there against their will? Did they get put up there so they’d fall to their deaths if they suddenly woke up? What do they eat? Pigeons? People? Rocks? If you’re dealing with modern fantasy, how would they be affected by things like light pollution, noise pollution, smog, acid rain, and other issues that would be a lot more prevalent in the 21st century than in the 6th century? There’s a lot to think about, and a lot of room to play. So have at it, and have fun! And inevitably, my process is just a little bit different from the other authors at those panels, because mine plays a lot into my face blindness. For those unaware, face blindness (or prosopagnosia) is a neurological disorder characterized by the inability to recognize faces. If I see you at a convention and I introduce myself to you twice, that’s why: I remember having talked to you, but I can’t keep in my mind what you actually look like. Like a lot of people with the disorder, I tend to compensate with other details– if you’re wearing a particular costume, for example, or if you’ve got a visible tattoo. I once had a pair of coworkers who would often be on shifts with me together. They were both blonde, both in their early twenties, and both fairly petite and thin. In my first few weeks on the job, I could be looking at one and standing next to the other, and I would have absolutely no idea which one I was talking to unless I looked at the nametag; sometimes I would continue a conversation I’d started with one coworker but speak to the other one, not realizing that these were two different people. After several weeks of working there, I got to know them well enough that I learned to recognize them– and at that point, I realized that aside from their hair and body type, they really looked nothing alike. In the first few weeks, I also had a bad habit of giving sales pitches to my coworkers as they were walking back from the bathroom, because I couldn’t recognize that they were the same people that had been hanging out with me a few minutes before. It was only when they visibly recognized me that I was able to say “wait, they know me? Oh, that’s actually my manager”. That tends to come across in my writing. When I create a character, I tend to start with the role they have in the story, and from there I default to the way I would remember them if I were to meet them: what impression would they leave behind? With Arkay, even before she was a dragon I knew she was overly energetic, mischievous, and overprotective, that she liked to pick fights, and that she was physically so small that people always underestimated her (which she found hilarious). The over-protectiveness developed into a dragon’s territorial nature; the fact that she was an Asiatic dragon informed her ethnicity, etc. With Rosario, the first things I knew were that she was homeless because she found Arkay under a bridge, and that she was incredibly brave and kind– because you kind of have to be, to nurse a forty-foot dragon back to health. Details like her sexuality, her body type, and her ethnicity are all informed by the research I did based around those two details. Her gender was actually the last thing I chose for her. Raimo was meant to be an overly friendly viking; the Contessa is an anachronistic embodiment of Medici wealth, power, and style, where stilettos are both the shoes she wears and the weapon she prefers. Details like race and gender are often among the last details I choose for my characters, unless they’re intrinsically tied to some detail in that character. With both Arkay and Raimo, I couldn’t picture either of them as anything but Japanese and Scandanavian, respectively, because that was already built into those foundational details of the character. That’s not to say they’re not incredibly important– the race and gender do so very much to inform a person’s experiences as they move through life and is a defining part of who they are, and they can radically alter the kind of tropes that play out with those characters– but they’re not the first places my mind goes when I’m creating those characters. But if you’re ever wondering why I describe my characters the way I do– or, rather, why I don’t describe my characters with the kind of details other authors might– that’s why. This is meant to be tiny and unreadable so you get an idea of how long this list is. Please don’t strain your eyes. I’ve been on the writing corner of the internet for a while now, and I’ve got a long, involved history with questionnaires. Whether you’re crafting a single roleplaying OC or an entire world, you’ll find thousands of lists full of all sorts of questions. For the past several days, I’ve been compiling a list of worldbuilding questions that I ambivalently look forward to applying to most of the countries in my upcoming world. I’m daunted because this is gonna be a ton of work, and I’ll have to repeat the process over and over and over again. At the same time, I’m excited because this kind of thing can create a much more intricate and interesting world. Easily 90% of the answers to those questions– maybe even 99%– will not and should not ever actually make it into the story you tell. The specific answers to each question don’t matter as much as what they tell you about the bigger picture. Nobody cares what three items your character would bring to a deserted island, they care about what it says about that character– whether they would go for something practical, or something suited to a hobby or interest, or so on. Nobody cares what a country’s tax code looks like, so much as they care about the way the people respond to that tax code, whether with squeezing their employees harder or tax evasion or what have you. That’s where the story is. That’s what matters. The rest is just a tool to help you flesh out those details. When is a spoiler not a spoiler? When it’s illegible and lacks any context whatsoever. In my first sketches of this current WIP, the protagonist was one of two children born to a single mother. The family began and ended there; these three were each other’s whole world, and nothing mattered but each other. It’s a very American family structure, which isn’t a bad thing– but it didn’t fit to the world I was building. I’m not the kind of person who can just make up a thousand characters off the top of my head. I can’t create a family without first fitting it into some kind of structure. That’s where the family tree comes in. I used FamilyEcho, but you can find plenty of free software online. Good goals are specific and concrete. When you spell out the concrete goal, it’s automatically tailored to the character’s story. Already they’re that much more unique than they were before. Having a specific stated goal also allows for nuance in the outcome. Maybe you got that American Dream nuclear family you were looking for, but learned it wasn’t quite what you hoped. Maybe you didn’t get that biker babe you were hoping to score, but fell in love with the open road instead. Having a specific goal also helps you lay out the plans to achieve it. Writer, character, and reader alike can sit back and ask how they intend to attract charming outlaws if they’re never going to set foot in a biker bar, whereas something as abstract as “love” really has no real steps you can take to attain it. It’s only your motivation if you’re actively working toward it. Otherwise, it’s nothing but a daydream. Characters: too many or too few? A well-respected bit of writing advice says you should limit the characters you introduce to your reader. Some have argued that you shouldn’t introduce more than five in the first chapter; others say you shouldn’t introduce more than two or three at any given time. It’s good advice. Having worked in the food industry, I’m all too familiar with the consequences of being loaded with dozens of names and faces in a short period of time. Pretty soon even the distinctive, memorable ones start disappearing into the vague masses. 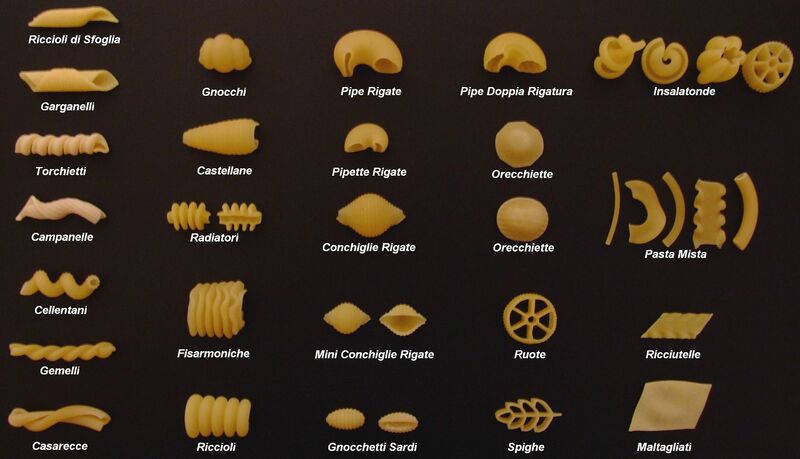 Characterization: What shape is your noodle? Maybe you’ve come across those prompts that have been floating around the internet since 1998 or so: they’re massive lists of things that, supposedly, every writer should know about their character. They start out with some solid information: legal name, nicknames, appearance, where they were born, etc. And then things get specific. Oddly specific. Questions like “What would your character give their life for?” and “What does your character think makes a successful love life?” could be good to know, especially if they’re going to be in situations where that comes up. And then there are some questions like “What was your character’s earliest memory?” or “What is your character’s favorite shape of noodle?” that probably won’t come up at all, outside of very specific circumstances. I don’t know about you, but unless it’s a major part of their identity, I really don’t care what a character’s favorite shape of noodle is. A lot of people will tell you their ideas of what every writer needs to know about their characters, so here’s mine– and instead of the typical 25/50/100, I’m going to give you an easy number to remember. Three. What do they want? This is both in the short term (I’m thirsty; I want a glass of water) and the long term (I want to become a world famous dancer.) Everybody wants something, and as a writer, you should have a clear understanding of at least the short-term desires of every person that appears in your story. What is their defining experience? A defining experience is one that shapes who you are, what kinds of things you want, and what you value. It could be a relationship with a particular person, a single moment, or an environment, but it fundamentally altered who they became. For example, Frodo Baggins was shaped by the stories of his uncle Bilbo’s adventures. They instilled in him a craving for adventure and an appreciation for humility and mercy– and those qualities set him apart from every single person he interacted with. What changes them during the story? In order to be dynamic, a character must change at some point over the course of the story. In order to do so, you must give them a second defining experience that shapes them in a different way. Staying in Tolkien’s world, I would argue that Gimli was changed when he met (and was smitten by) Lady Galadriel of Lothlorien. It didn’t make him an instant Elf Friend, but after that point he treated elves with far more respect, and was able to cement his friendship with Legolas Greenleaf– and in doing so, rise above the animosity and racism that had existed between their two families since before Smaug took Erebor. The way I see it, being able to answer those three questions will let you build vivid, dynamic characters– but that’s just my list. What questions do you think a writer needs to be able to answer when they create a character? Let us know in the comments!